When you leave for uni you expect your parents to keep your room as a shrine to you. Maybe go around your room, collecting your hair and making it into a second you they can talk to, just for the company. This didn't happen for Hannah Speed. Her mum had promise that her room would be left exactly as it was over the holidays. 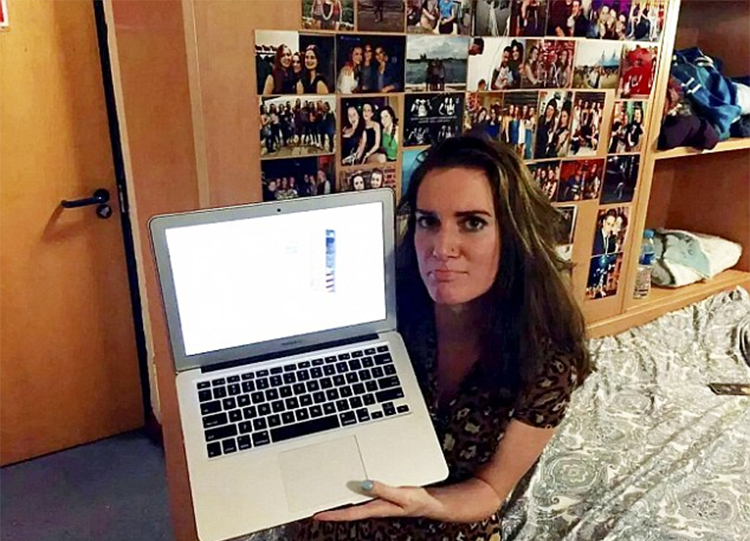 Five days after she left for uni, her mother had listed her room on Airbnb and began renting it out. Her mum even rented her room out during the Christmas holidays, leaving Hannah sleeping in the spare room, like a lowly guest. Why am I boxing everything up, mum? 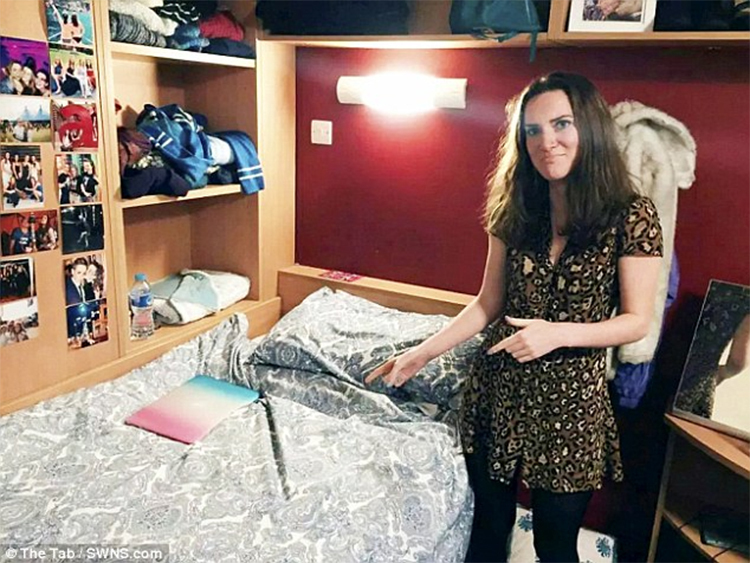 Hannah, 19 told The Tab her mum made her clean up her bedroom and put all her stuff in boxes before she left for uni, but that she didn't suspect what her mother was secretly plotting (despite these fairly massive clues). "I had been suspicious when she made me tidy my room so thoroughly. She was obviously trying to hide it from me. She took the photos for the ad the day I left for university." "I was pretty angry. Having strangers in your room is quite weird but we've managed to work it out and she now keeps me in the loop about who's staying and what they get up to." "It was during Fresher's week and we were in the last five minutes of our conversation when she just mentioned it casually and then hung up on me." "I'm renting out your room, dude. Bye." click. "Someone left a review saying how much they love the Nordic style"
After getting used to the idea that strangers would be sleeping in her room, they her mum, Pat, 56, started changing the decor of the room to accommodate her guests. "The décor of my room has changed to accommodate strangers. Someone left a review saying how much they love the Nordic style." A drawing Hannah had lovingly drawn got replaced with a picture of some pagan rocks. "Once a drawing used to hang right outside my bedroom, but it's now been replaced with a painting of Stonehenge, because apparently that's of more interest to people." "What's frustrating is that my mum has bought lots of really nice new bedding for the new guests which I never had when I was staying there." The ad (subtext): "Room, fully furnished, recently vacated by daughter, unloved." Hannah was getting used to the idea of strangers staying in her room, AND the idea of her stuff being moved around. Then she got asked to vacate her room over the Christmas holidays to make way for some Italian holiday-makers, despite her mum's promise that her room would be empty during the holidays. "I had to move into the spare room for the final four days of my holiday at home, which wasn't very festive." "I guess the room is just sitting empty, but I was really annoyed that I had to move out over Christmas." Hannah and her mum have now worked out a deal, where Hannah gets a 10% of a cut of the profits, meaning she can have a few nights out on the money. She said: "I just cling to the financial incentive and try not think too much about the people who are in my bed, or what they might be doing." "The worst part is that I've got an en-suite and the thought of strangers using that makes me feel a little bit sick." 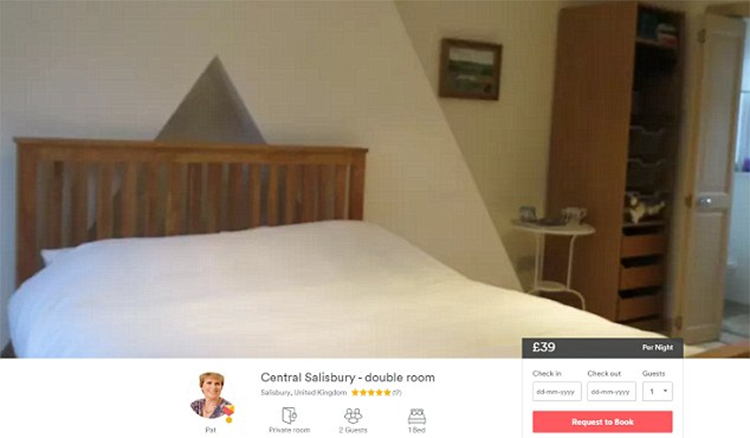 The room goes for £39 a night in Salisbury, Wiltshire, and has had many five star reviews since it started being let out in September. Just try to ignore the sobbing from the spare room.